Istanbul — a unique city that bridges east and west, is modern and traditional, and stands on two continents (Europe and Asia). Istanbul has been the capital city of four glorious empires and is currently Turkey’s most populous city as well as one of the largest in Europe and the world. Where to start? Mosques, minarets, hamams, kebab, coffee, raki, baklava, towers, palaces, islands, hills, ferries, markets, music, museums and football… Istanbul offers more than enough to meet your expectations. Therefore, it is highly recommended to do some research before your departure, especially if you have limited time there. The popular Time Out Istanbul app (free and available for iPhone) gives you useful insights about events, nightlife, restaurants and much more. Turkish cuisine is one of a kind, and a good definitive app like Culinary Backstreets: Istanbul – An Eater’s Guide to the City (for iPhone) will help you to eat locally and authentically in Istanbul. For those who still love good old paperback guides, check out Lonely Planet’s Istanbul City Guide, or if you are more of tech-saavy person you can check out Lonely Planet Mobile Apps. Both includes many great tips, relevant information, and more. 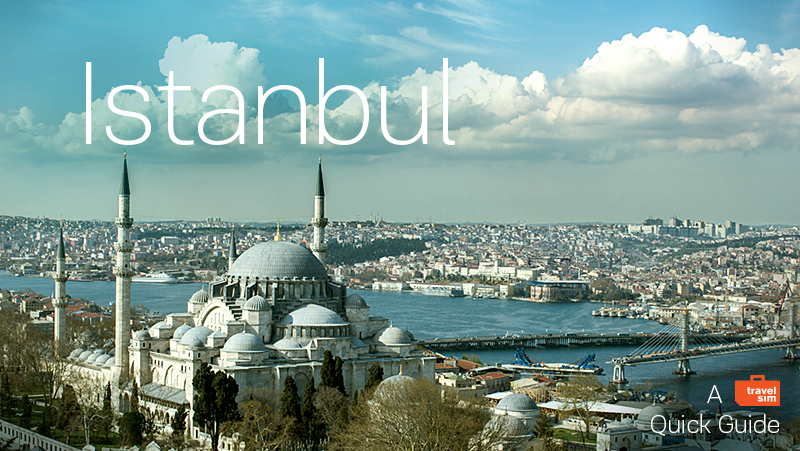 Frommer’s Istanbul Day by Day is also a great resource to plan your trip. Traffic is a big issue in Istanbul, and the transportation system can be confusing if it is your first time there. For tech-savvy travelers, you can download the Istanbul Ulaşım app (available for Android), or you can read this very detailed blog post on TripAdvisor. You can spend a day seeing popular historical attractions such as Topkapı Palace, Aya Sofya, and Blue Mosque, along with many other historical and religious highlights within the old town. The famous Grand Bazaar and Spice Bazaar are well-known historical marketplaces from 16th century that have been attracting locals and visitors for centuries. Most likely you will be done with the old town in the evening, so you can head towards Galata Bridge to watch the sun set over Bosphorus, and then from there to IstikIal Street to catch a glimpse of Istanbul’s fun nightlife after a nice dinner in a stylish restaurants such as 360 Restaurant, which offers amazing views of the city along with quality food. You could also visit the historical center on the Asian side: Kadıköy and the Prince Islands (if the weather is nice!). The Asian side is a place where more locals like to hang out. There’s also a great article on what to do in Kadıköy if you just feel lazy and want to chill out. Another place to go and enjoy some peace while still spending time in the center is Caddebostan Seaside. Keep in mind that Istanbul is huge! You can try your best to see it all or follow in the steps of others. Regardless, you will be sure to enjoy the charm of this beautiful city!